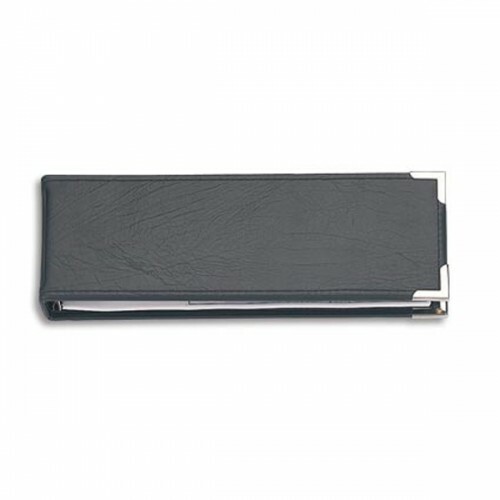 Description: Binder holds one-to-a-page, 1 copy cheques. Cheque Compatibility: Please see "Related Products" below for all cheques compatible with this binder. Our High Security Cheques incorporate features to provide a high level of protection against fraudul.. Size: 11" x 3 1/4Copy: 1Background: Suede Blue or Suede GreenImprint: BlackNumber: Please specify wh..